Recently we had a discussion in our diabetic pet forum about pet treats and glucose levels. 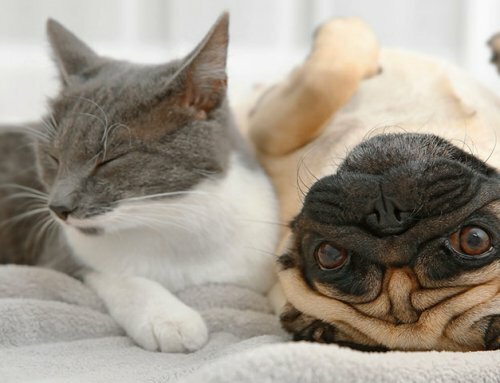 (Have you visited the pet diabetes forum? Do join in!) One of our clients noticed a spike in insulin in the evening for his dog. I suspected he was giving a snack in the evening and sure enough he was. That makes sense. I thought this week I might make some “big picture” suggestions about snacking for diabetic dogs and cats. We will discuss each species separately. Dogs are not cats. Cats are not dogs. 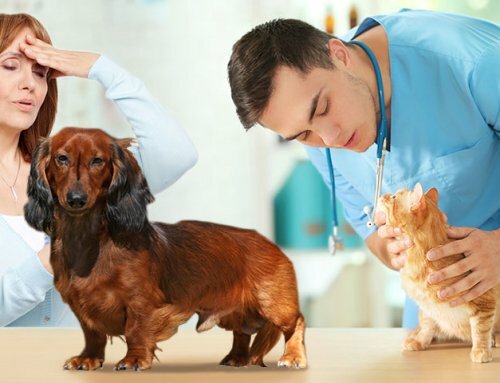 Especially when it comes to nutrition for diabetic pets, there are some large differences in what and when to feed these 2 different species. Most veterinarians give meals to diabetic dogs twice daily and insulin injections with each of the meals. Although we stay away from simple carbohydrates, carbs are definitely not the enemy. We strive for complex carbohydrates as they can keep a pet feeling satiated for many hours compared to a simple carbohydrate. These foods are also usually low in fat. The low-fat component is because so often diabetic pets are overweight. Proper body weight improves diabetic regulation because obesity can cause insulin resistance. 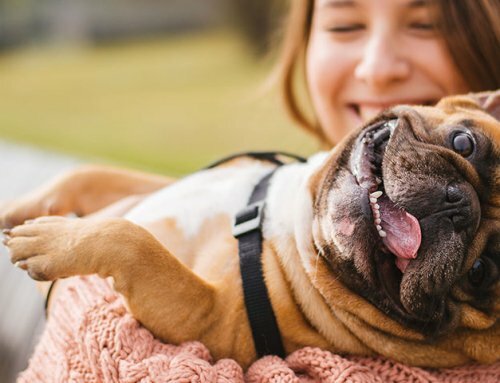 If the pet is proper body weight, the food doesn’t necessarily need to be low in fat unless the pet also has had other issues such as pancreatitis. If owners wish to give their diabetic dog a treat, I feel it best to give it at or near meal time. There isn’t much fun in that but the honest truth is that consistency and regular routines do help achieve good diabetic control. What would make the perfect diabetic dog treat? Well, that would be a treat that matches the above description of what is fed to the dog. In my opinion, it is just fine if a treat given at meal time is high in complex carbohydrates. Again, I prefer any treats to be given at meal time for dogs, but if a pet insists on a post-walk or night-time treat (at a time other than regular meal time), I suppose I’d prefer it to be a low carb treat. One of my favorites would be an uncooked green bean or a small piece of lean chicken jerky. Those of you who know your way around a vet clinic might have heard of Lean Treats, which are made from chicken and only have 7-17 calories per treat, depending on whether you are feeding your dog the treats designed for small or large dogs. Common sense would lead us to feeding less of the regular diet if a larger treat is given to the pet. Treats have calories, too! You’ve heard the phrase describing a difficult task to be “like herding cats”? Cats are independent little buggers who prefer to nibble all day rather than “meal feed” as our dogs will. Humans may try to impose the 2 meals per day regime on their cats, but I’m guessing there would be no end to the complaining by most of our felines. If my own cats go 12 hours between meals I hear about it. In my house, if kitty ain’t happy ain’t nobody happy. 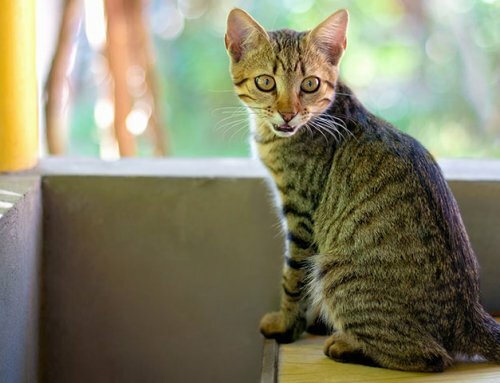 Perhaps because of this “nibbling” pattern of eating that most cats prefer, we veterinarians have found greater success with longer acting insulins such as glargine / lantus or PZI. We still typically give the insulin when we set out fresh food, but the insulins have less of a peak level than the insulins we typically choose for dogs. The timing of meals and snacks for diabetic cats isn’t such an issue because of this. What to feed cats matters! Cats are true carnivores. They have a very different metabolism than humans or dogs. Since the 1990s veterinarians have found much improved diabetic control for cats when feeding low carb diets. Recommendations are typically a carb content of less than 7 to 10 percent. This pretty much means feeding a canned food as kibble requires a higher carb concentration to achieve the kibble consistency. 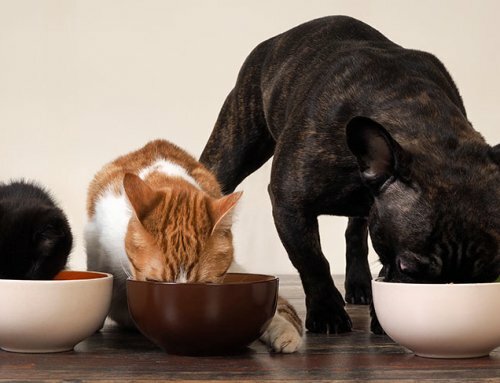 There are 2 dry (kibble) “low carb” prescription diabetic cat foods on the market (Science Diet m/d dry and Purina DM dry), but they are still higher in carbs than the 7 to 10% maximum that we prefer. DM and m/d both come in a very low carb canned version that I encourage as the diet for diabetic cats. These 2 canned foods have about 3% carbohydrate content. Much like the cat’s regular diet, a treat for a diabetic cat should also be low in carbohydrates. A piece of meat or chicken would be an ideal cat treat for a diabetic cat. The above are big picture generalities regarding the feeding and snacking of diabetic dogs and cats. 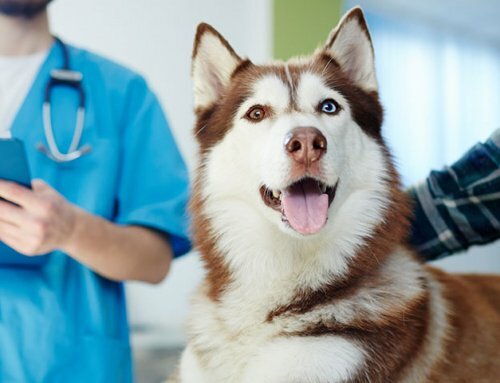 Do speak with your veterinarian about what the best food and best treat options are for your diabetic critter. Don’t neglect the calories that come from treats. Do spend as much time considering the treats you give your pet as the pet food you and your vet have chosen for your pet.